I have been going to Darryl Jones for several years now and have sent several family members to him. 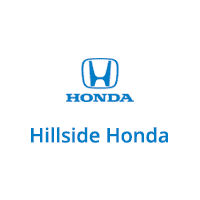 I recommend Hillside Honda and Darryl Jones. I got Honda CRV on lease at a reasonable price. I was treated with respect. The staff was very helpful and answered all my questions. My sales person was awesome I was only available on weeekend he didn’t pressure me on coming in, however I had someone from the office calling me everyday asking when I was coming in I was like I spoke to someone already almost change my mind but glad I didn’t. Overall service s was the great the finance manage was awesome I felt like I was dealing with family. Great service provided by service advisor Joseph P. He is well experienced in the field and understands the customers problems and issues. I would recommend him to everyone. Darryl is our guy we go to when ever we want to update our car. He fast and gets the job done.. We been with hillside Honda for 8 years now. !